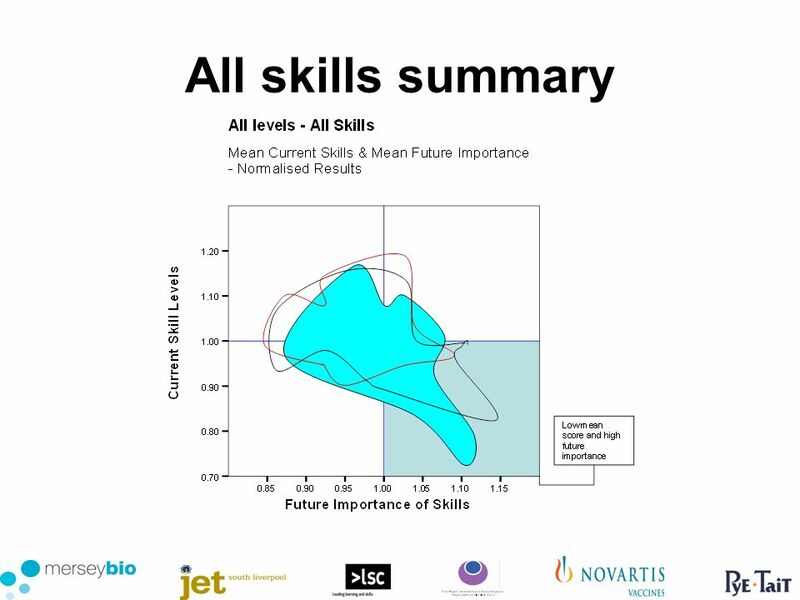 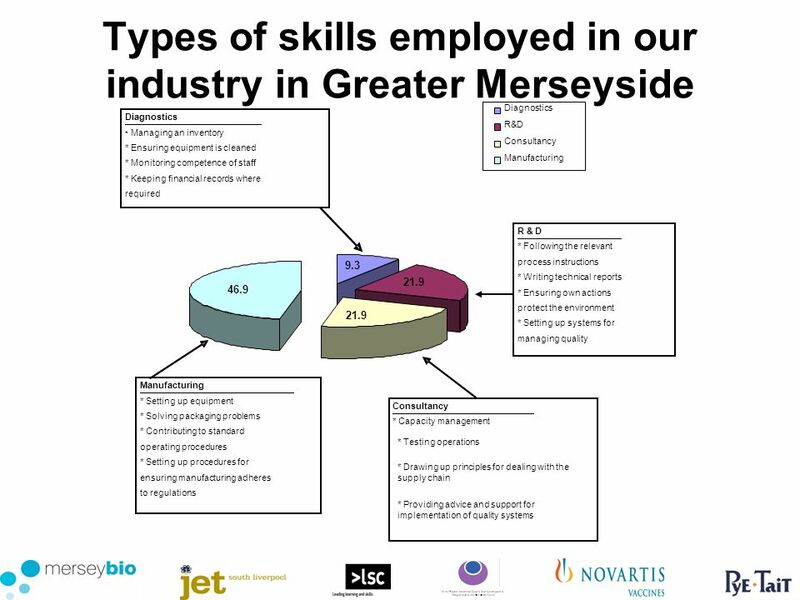 Analysis of Skills Needs in Life Sciences Merseyside and Halton. 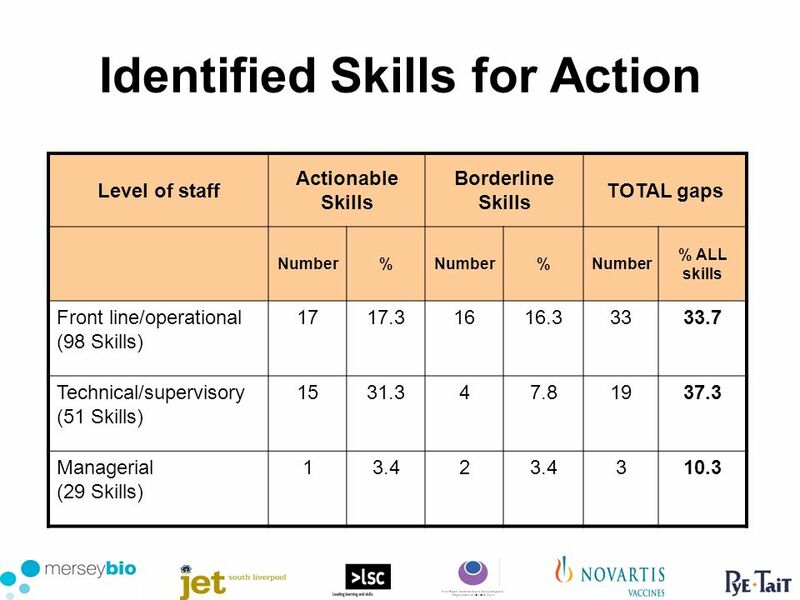 12 Areas were split into three major business sections for –Operational/Frontline staff98 skills assessed –Technical/Supervisory Staff51 skills assessed –Managerial Staff29 skills assessed Each skill was rated for current importance and future importance to the respondent company The mean scores across all respondents for a particular skill were calculated. 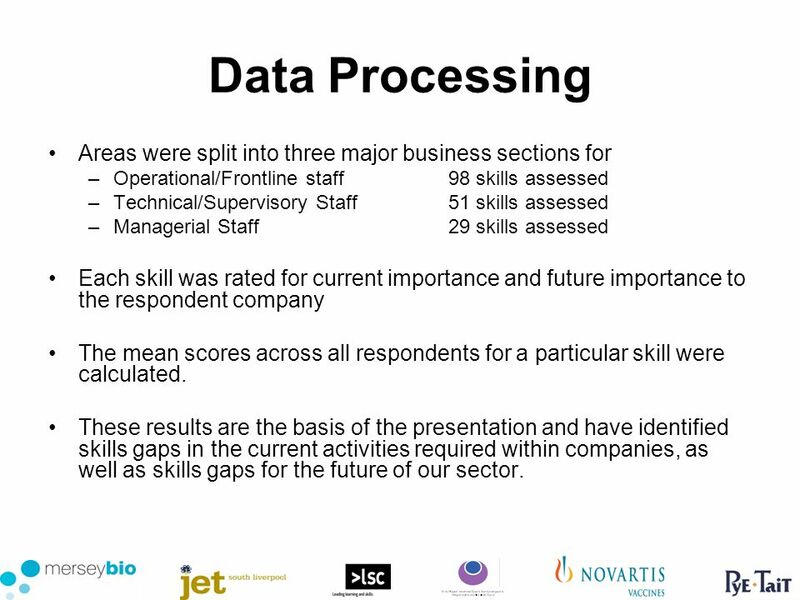 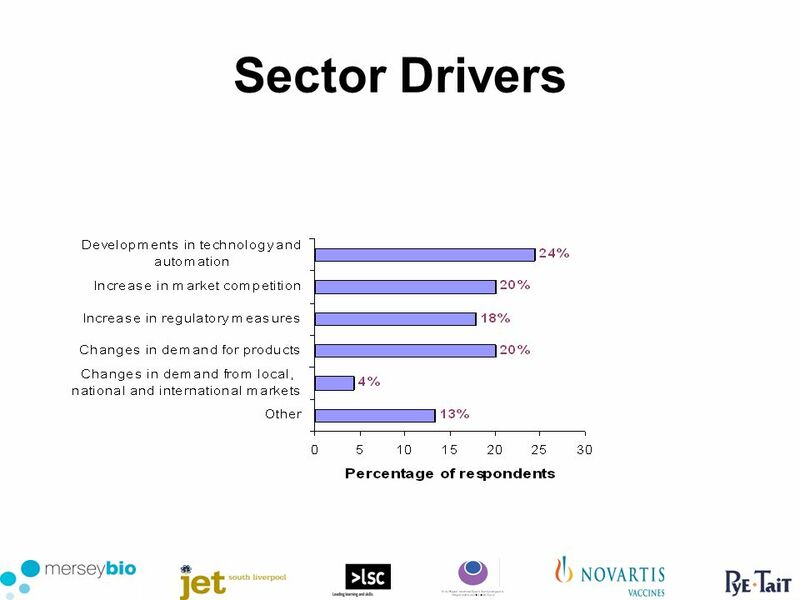 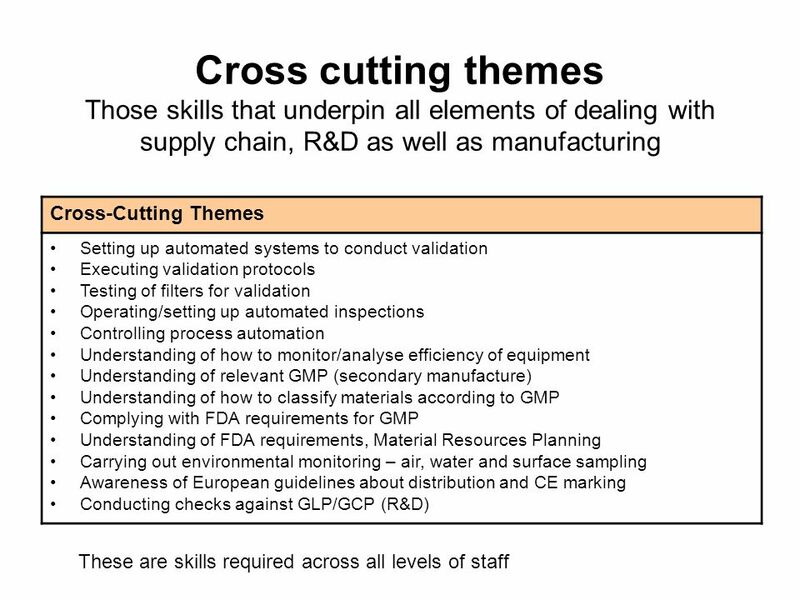 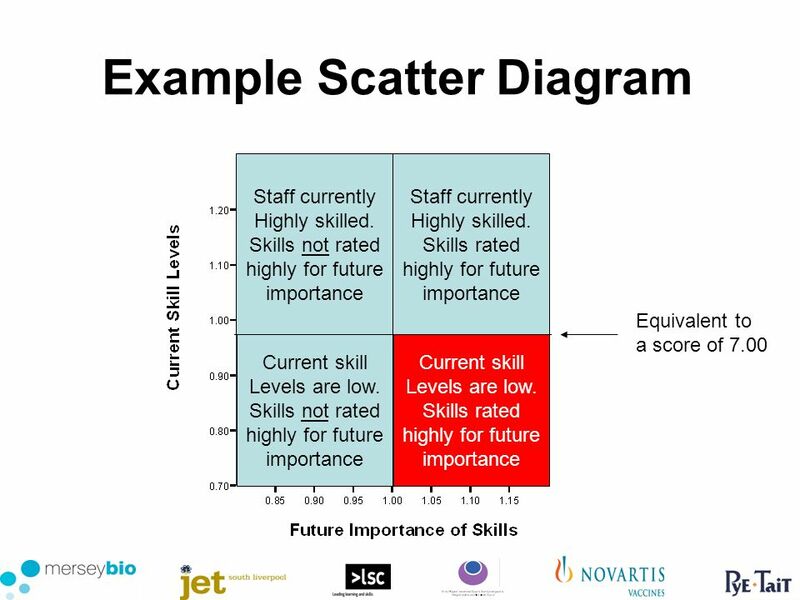 These results are the basis of the presentation and have identified skills gaps in the current activities required within companies, as well as skills gaps for the future of our sector. 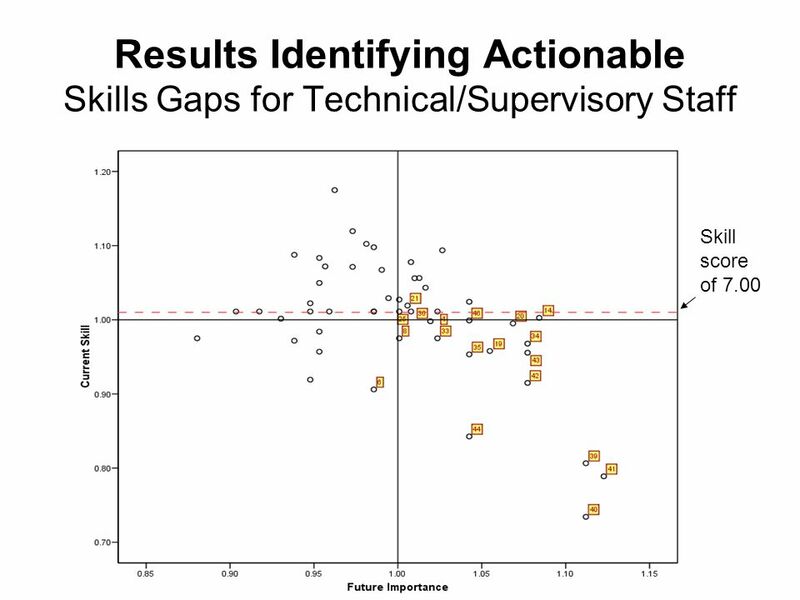 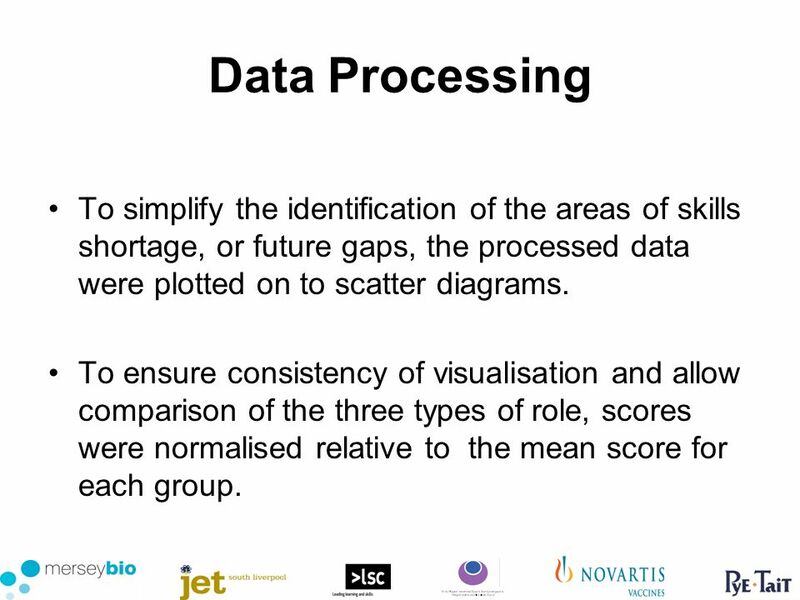 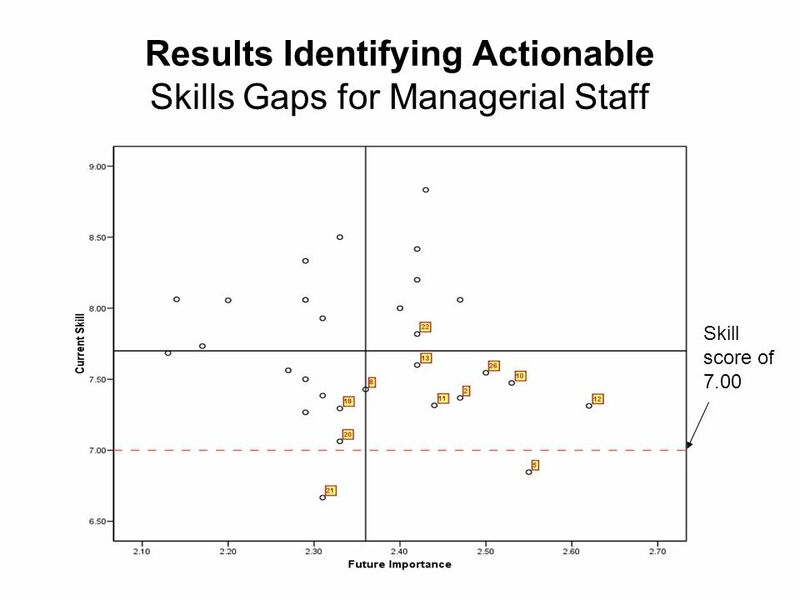 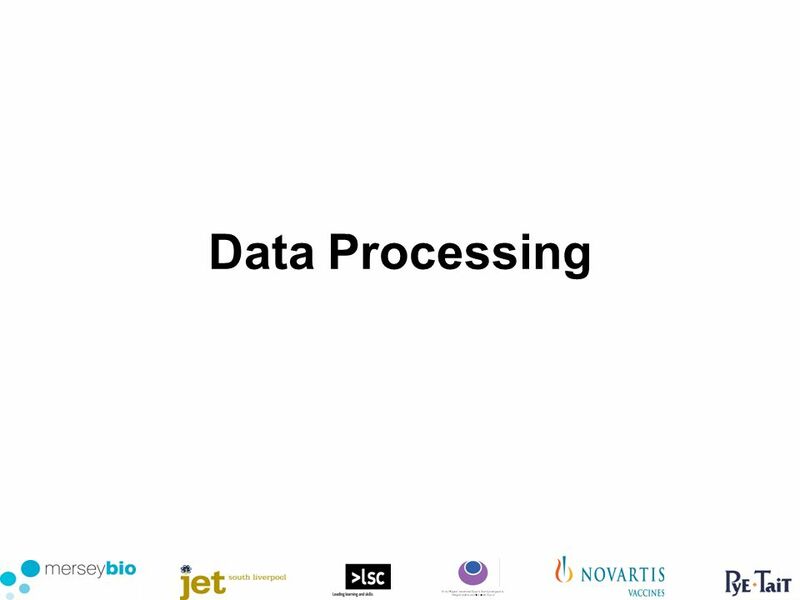 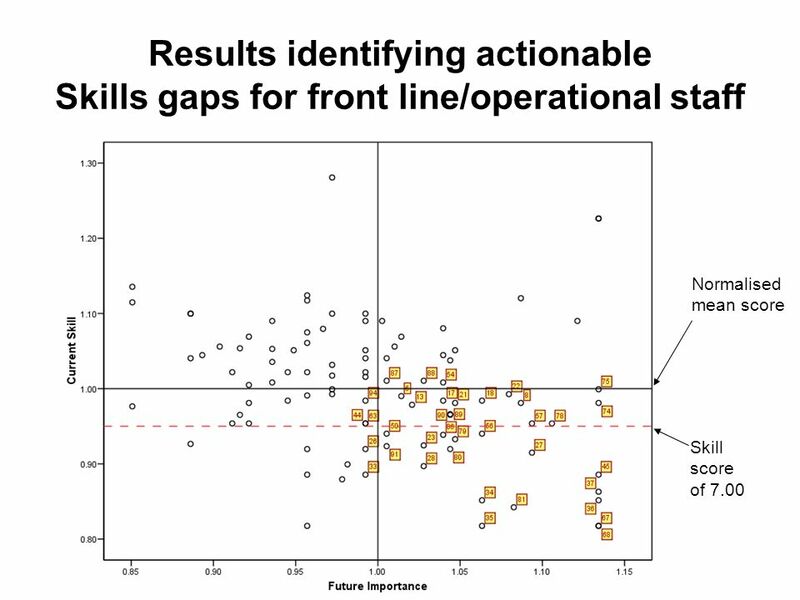 13 Data Processing To simplify the identification of the areas of skills shortage, or future gaps, the processed data were plotted on to scatter diagrams. 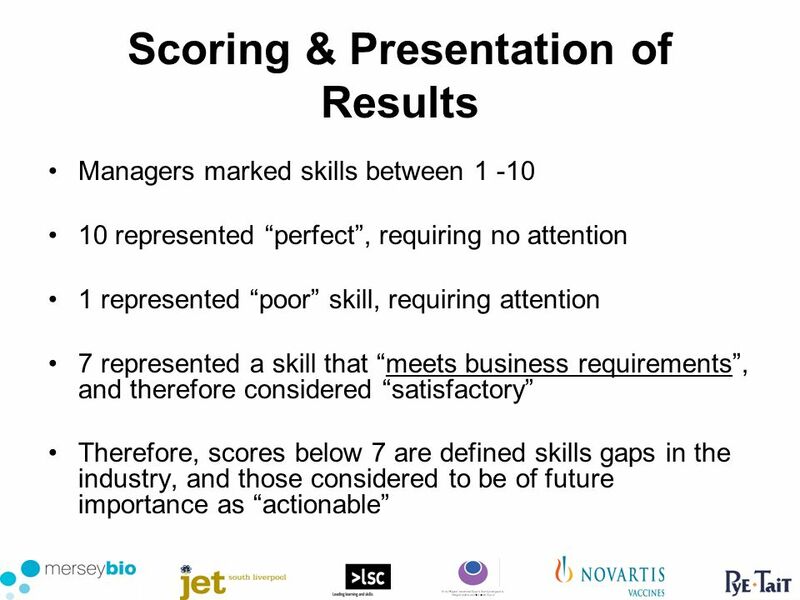 To ensure consistency of visualisation and allow comparison of the three types of role, scores were normalised relative to the mean score for each group. 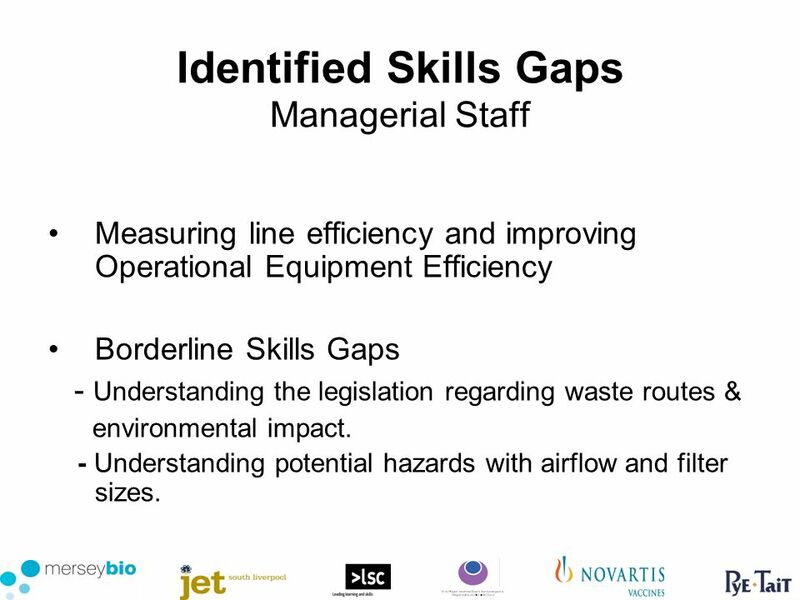 21 Identified Skills Gaps Managerial Staff Measuring line efficiency and improving Operational Equipment Efficiency Borderline Skills Gaps - Understanding the legislation regarding waste routes & environmental impact. 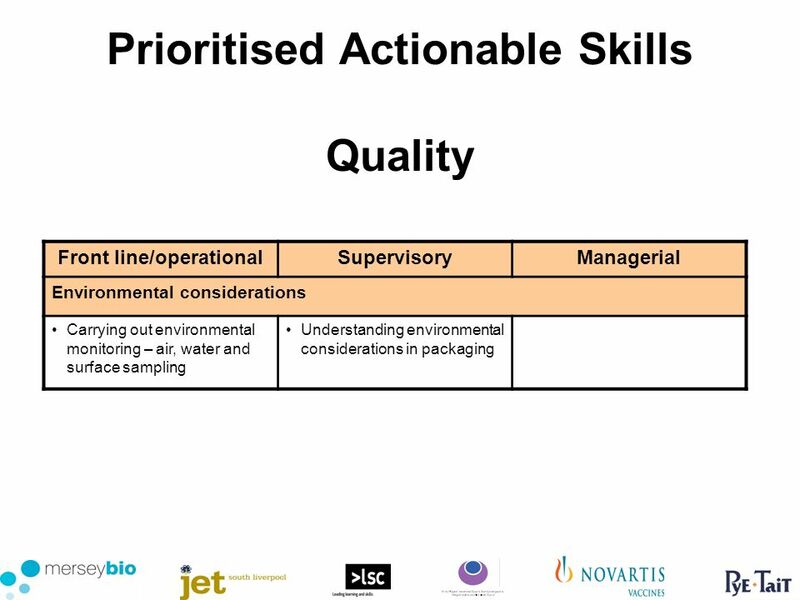 - Understanding potential hazards with airflow and filter sizes. 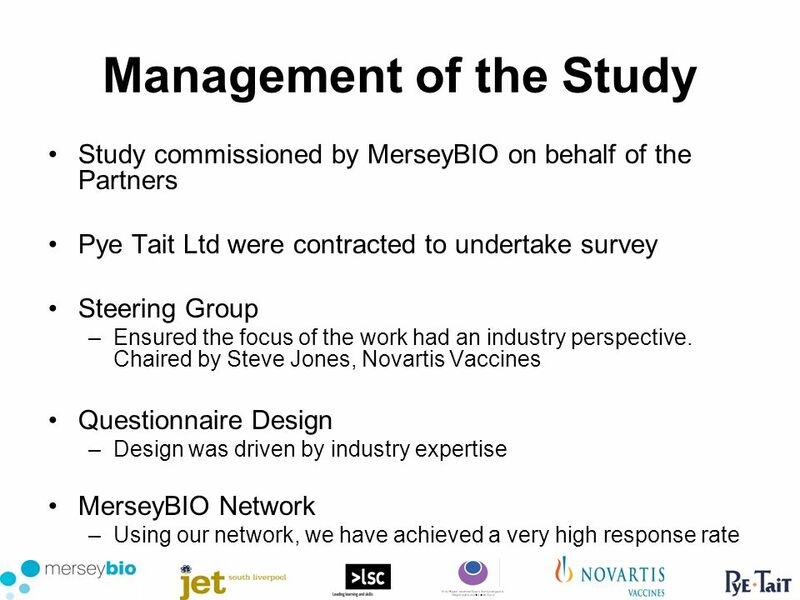 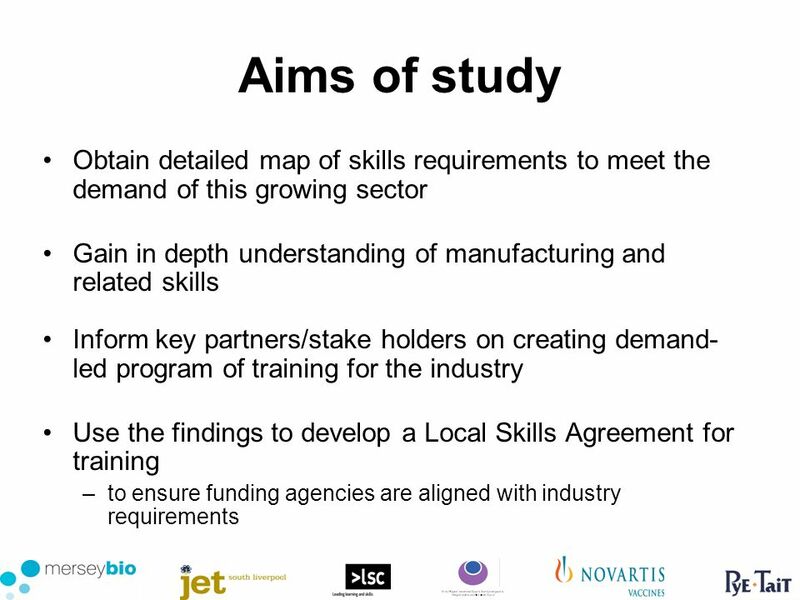 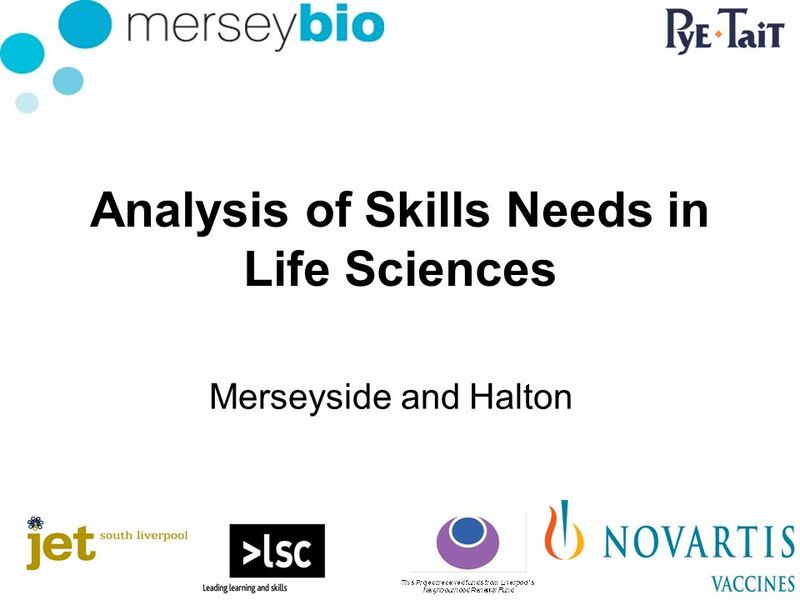 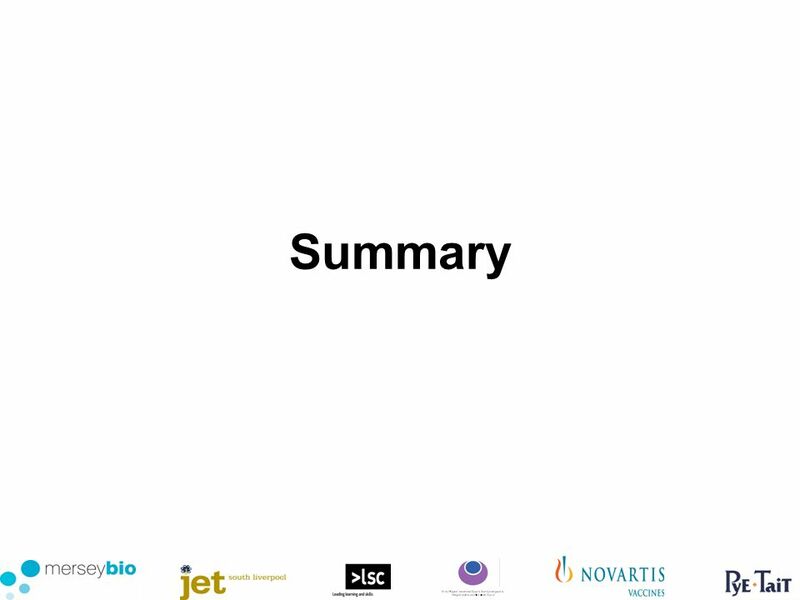 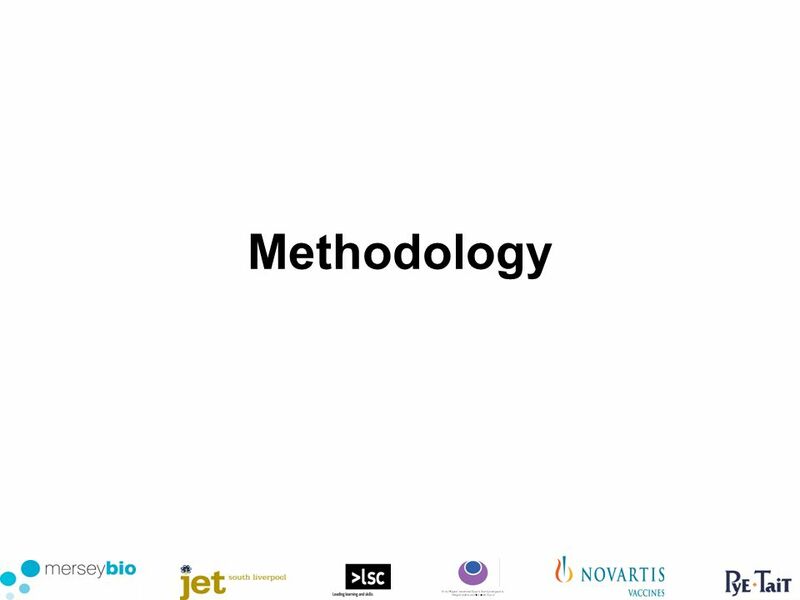 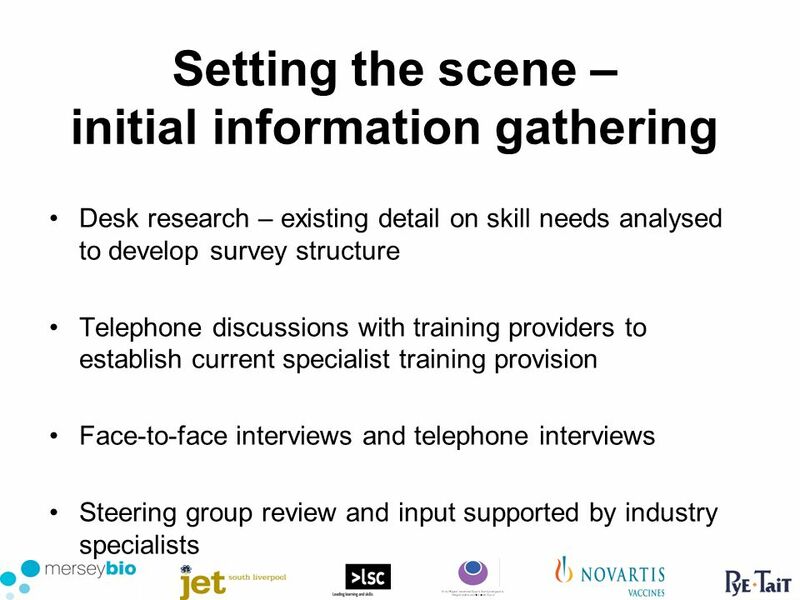 Download ppt "Analysis of Skills Needs in Life Sciences Merseyside and Halton." 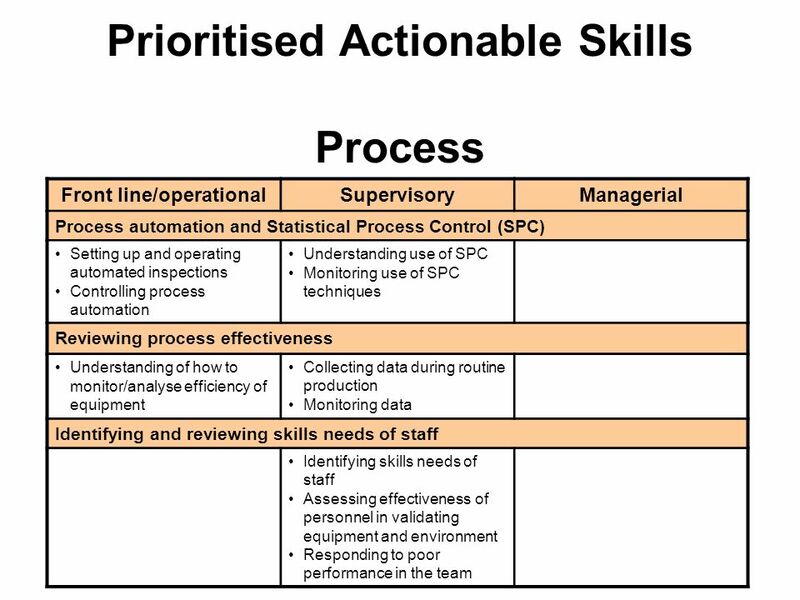 OECD/INFE High-level Principles for the evaluation of financial education programmes Adele Atkinson, PhD OECD With the support of the Russian/World Bank/OECD. 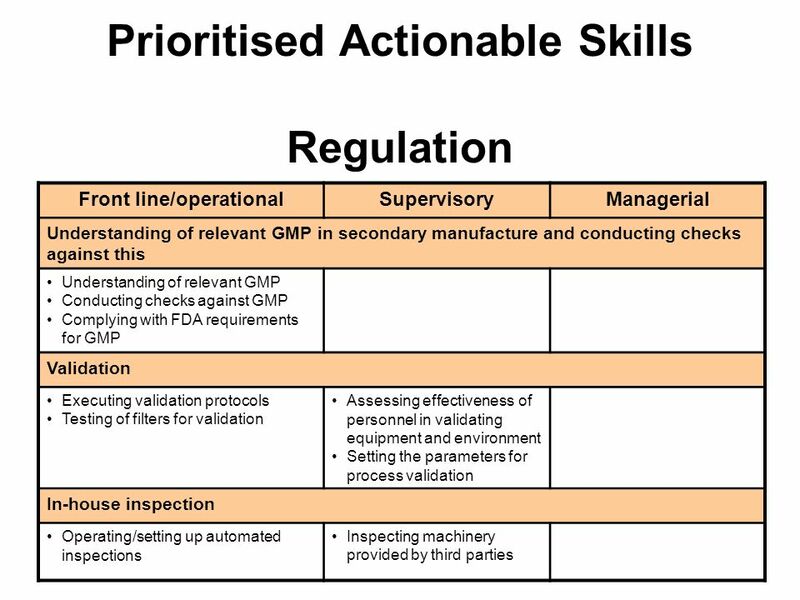 Guidance Note Work Health & Safety Obligations for Independent Contractors March 2015. EPSON STAMPING ISO REV 1 2/10/2000. 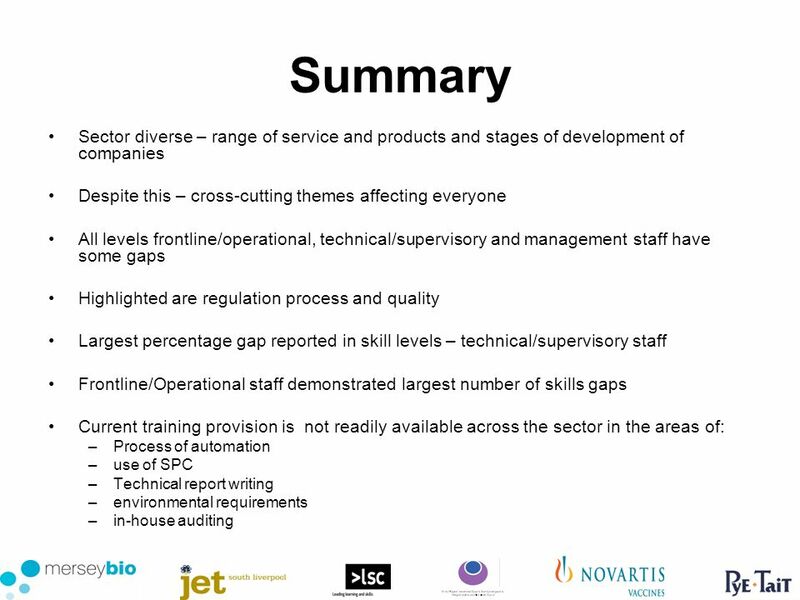 Copyright  2005 McGraw-Hill Australia Pty Ltd PPTs t/a Australian Human Resources Management by Jeremy Seward and Tim Dein Slides prepared by Michelle.